Investing in a set of the best gaming headphones is something that requires a bit of knowledge before committing to a purchase. For a start, in a gaming headset, you are looking for a particular set of features that are tailored to improve or at the very least ‘cope’ with the gaming environment. There is nothing worse that unwrapping a new headset and entering game chat only to discover that the mic is awful and the sound quality is poor. Not things that would be that important for casual music lovers, but something that is quite critical to game satisfaction. In our guide, we are going to look at a selection of the best headphones for gaming, and dive into the details of each. Turtle Beach is starting to grow its brand right up there with the top-tier gaming headsets. Just a few years ago, no one had ever heard of Turtle Beach but that’s no longer the case. When you first see the price of this headphone, you might not think that you’re getting a real value but when you dig deeper you will start to see that it really is a great value. That’s what we’re going to do now. When you get that awesome Amazon package in the mail and open it, you’ll be greeted by an attractive box that shows you exactly what you’re getting. In that moment, you will realize that you have gotten an outstanding product! Out of the box, you get a headset, charging cable, talkback cable, PX3 transmitter, a USB transmitter cable, and an instruction manual. 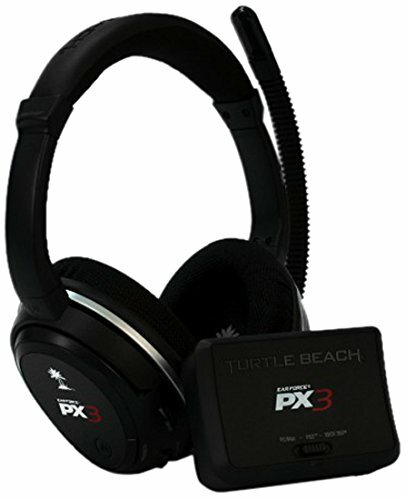 The Turtle Beach PX3 headset works with a Mac, PC, PS3 and Xbox. Swapping between each system is as simple as flipping a switch. This simplicity is what ultimately leads to the only real downside of this pair of headphones – they do not support Dolby Digital surround sound. They only produce stereo sound. Set up is a breeze. All you have to do is connect all of the cables, install the software and you will be ready to go! 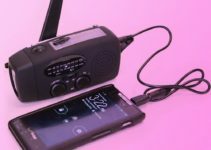 Keep in mind that your transmitter must be connected to a USB port that supplies power. Overall, it takes less than 5 minutes to set up these headphones. 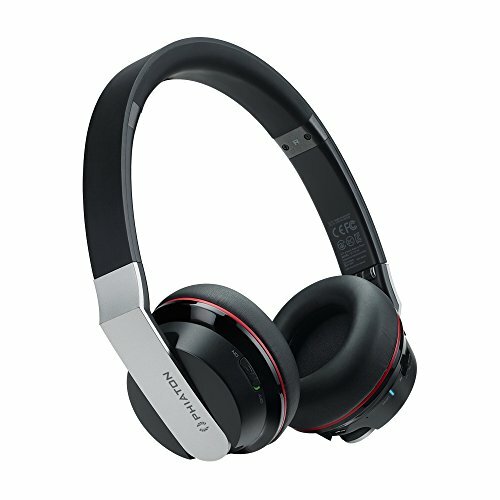 These headphones also come equipped with a rechargeable battery that will last for around 10 hours. One of the best features is the “Dynamic Chat Boost.” This feature increases the chat volume automatically as the game volume rises. It also lessens incoming noises to avoid sound spikes. Phiaton is another of those brands that is just starting to break through. So many people are praising these headphones that it makes a great topic for our next review. These are a rare breed and come equipped with noise-cancelling technology. This is a feature that you don’t see very often on headphones. Plus, they are easy to store and put out a brilliant sound. The box is nothing impressive since it’s very straight-forward. You will find your headphones, audio cable, charging cable, instruction manual, and a nice carrying pouch inside of the box. Now we get to move onto the more exciting features. These features more than make up for a lack of design on the box! The first worth mentioning is how lightweight these headphones are. It’s surprising at just how light they feel on your head. They do tend to fit a bit too snugly but it’s really not too bad of a downside. You might have to give your ears a break every hour or two. The Active Noise Cancelling technology is the feature that I feel sets these headphones apart from the rest. There is even an on/off switch so that you have the option of using it. There are times when you might want to turn it off so it’s great to have the option to do so. These headphones connect via Bluetooth technology and the connection is very strong. You have to move pretty far away from the device for the connection to start skipping. If you’ve ever had the dreadful experience of dealing with gaming headphones that skip, then you’re in for a treat. These amazing gaming headphones will cost you around $100 but they have one of the best sounds on the market. I’m not exaggerating either; the moment you plug in these headphones you will know that I’m telling the truth! Even the way they feel on your head is extraordinary. These are one of the rare breed of headphones that have not once hurt my ears after hours of gaming. However, this leads to one of the downsides of the HyperX Cloud. They are not fully soundproof. You will be able to hear some larger sounds bleed through during your gaming experience but it’s nothing too distracting. At the end of the day, if you are looking for a set of cans that gives you hours of gaming with little discomfort then you have found them! Along with the super comfortable design, the HyperX Cloud also delivers on sound quality. The mids and highs are outstanding with a little to be designed in the low ranges. Mid and high range sounds pack a powerful punch without being too overwhelming. One of the other downsides to these headphones is that the audio controls could be designed better. The absence of EQ, presets, and customization leaves a lot of room for improvement. I consider this limitation to be a pretty big downside. The bottom line is that if you are willing to sacrifice a few features for comfort then you should get these headphones. The SteelSeries H wireless headset is arguably the best set of cans on the market. They offer a combination of quality, comfort, and battery life that makes it an all-around great buy! 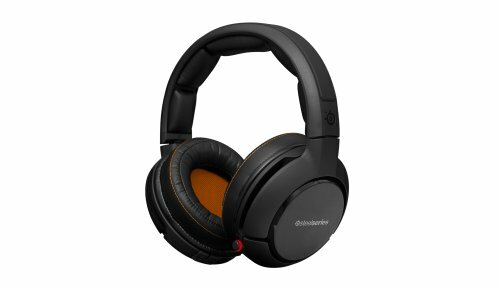 If you’re looking for quality headsets for a great gaming experience then the SteelSeries H Wireless headphones are not going to disappoint you! 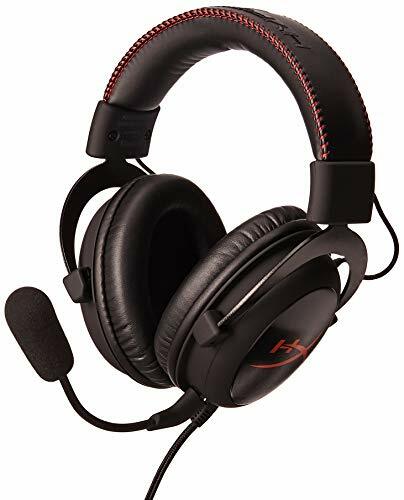 This gaming headset is compatible with all popular gaming devices including PC, Mac, PS3, PS4 and Xbox systems. Changing between devices is made easy. All you have to do is press a button and you’ll be connected to the new device. One of the downsides of the SteelSeries H Wireless is that it comes with an omnidirectional microphone that picks up sound from all around you. This is not great for those pivotal gaming moments. You can fix this issue by lowering the microphone sensitivity so that it picks up less background noise. The battery life is superb, offering up to 20 hours of operation between charges. This is much higher than other gaming headphones. Furthermore, you will also get a second battery so that you can easily swap when one runs out. You’ll never have to worry about running out of battery life. Finally, we will look at the design. SteelSeries H Wireless headphones are built with durable plastic that fits easily on your head. However, they are slightly heavier than other gaming headphones on the market. While I feel that SteelSeries H are the best on the market, there is no denying that the Astro Gaming A50 is the most popular. If you own a pair then you will understand why! They provide a high quality experience but do come with a few flaws that hold them back slightly – although those flaws do not seem to keep most gamers away. The biggest downside is the compatibility with Xbox One and PS4 devices. I’m sure that will be corrected in future versions though. Here’s part of the problem. If you are looking to use these headphones for both devices then you will need to pick up the Xbox One version since it seems to be compatible with PC, Mac and PS4. On the other hand, the PS4 version is not compatible with the Xbox One. The Astro Gaming A50 battery life runs about average with the market, lasting around 10 hours between charges. This isn’t as much battery life as the SteelSeries H Wireless that we just reviewed, but it’s not bad enough to warrant a red flag either. The design is also about average in comparison with other gaming headphones. There are no weaknesses, but nothing that makes them stand out either. They are comfortable enough so wearing them for hours is not an issue. 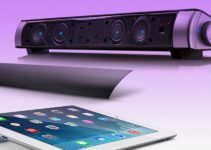 Again, the quality of sound is boosted by the 7.1 Surround Sound features. If you have that feature activated then you are in form a pleasant surprise! For games that require surround sound then this feature is quite handy because it gives you the full experience of a 3D battlefield. The Logitech G933 is perhaps the most ideal gaming headset on the market because it packs every feature that you could possibly imagine. Honestly, this headset will blow your socks off! The experience is really out of this world, but it comes at a price. 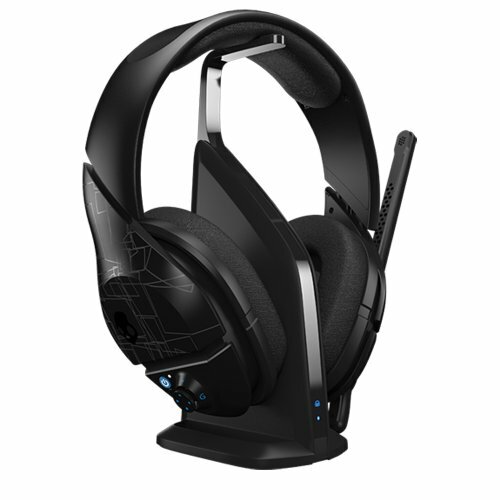 You get to choose whether this headset is wireless or wired, giving you a great degree of flexibility. With a 2.4GHz connection, there is absolutely no lag with the Logitech G933. In addition to that, it boasts a battery that provides 12 hours of uninterrupted gameplay between charges. 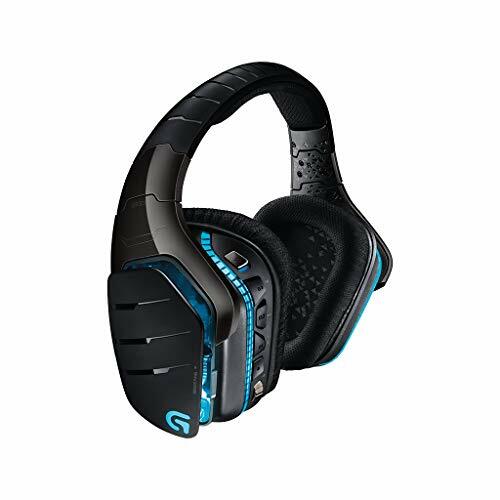 The G933 is designed for use on just about every gaming device imaginable. It can even be paired with a smart TV! One of the best features of this headset is that you can hook it up to multiple devices at the same time. If you want to listen to your favorite music while enjoying a game, then you can do both at the same time. If someone happens to call you, then you can answer that call without having to turn off your game or music. You might be worried about the quality of sound because of these features but I can assure you that it is not affected in the least. It comes equipped with Dolby Digital surround sound so your favorite games will come to life. Finally, we are going to take a look at the Skullcandy PLYR1. It comes with a ton of features but does have a few issues as well. However, if you are looking for good quality surround sound at an affordable price then this is a great choice. 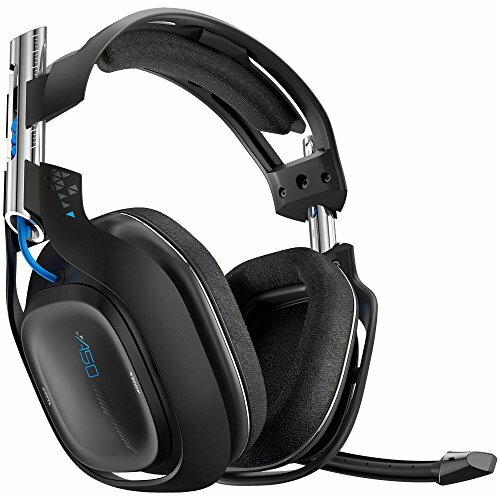 This headset is compatible with all popular gaming platforms including PC, Mac, PS3, PS4, and Xbox devices. You so have to connect the headset with your Xbox One controller if you want to chat through that device but that’s the only downside. The microphone sensitivity is quite high though so this system picks up some extra noise. For the most part, you can fix this issue by adjusting the settings. The battery life is right up there with the top headsets, giving you up to 12 hours of uninterrupted gameplay between charges. A poor build quality is what really holds back the Skullcandy PLYR1. It feels a bit awkward at first but you can eventually become accustomed to it. To be honest, it’s not what you would expect from a $100 gaming headset. With that said, once you get accustomed to the plastic feel the headset is comfortable. 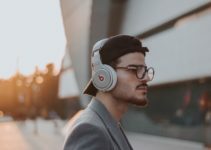 Overall, if you are on a tight budget and are willing to forgive a poor design in favor of excellent sound quality then the Skullcandy PLYR1 is a great choice!